D.B. 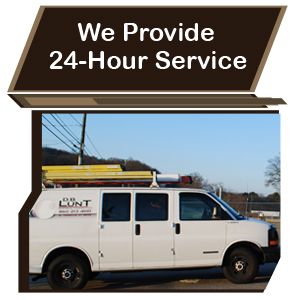 Lunt LLC provides fast, friendly, and knowledgeable electrical services to Norwich, CT and the southeastern area. Since 2007, our highly-trained team of expert technicians have offered our clients thorough and meticulous workmanship with an eye for detail unmatched by our competitors. Using high caliber products and state-of-the-art equipment, we get the job done right the first time to ensure your ultimate satisfaction. With our low rates and 10 years experience in the industry, we aim to exceed even the highest of standards and deliver safe, competent, and honest electrical services, guaranteed.